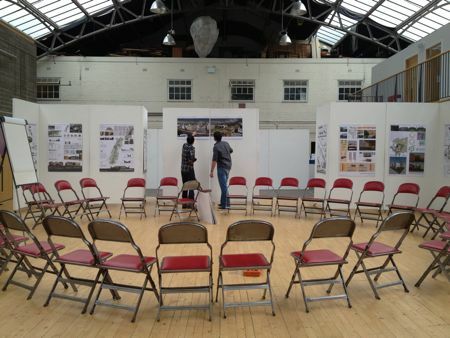 Your Vision for Leith Walk? This is your turn to talk. 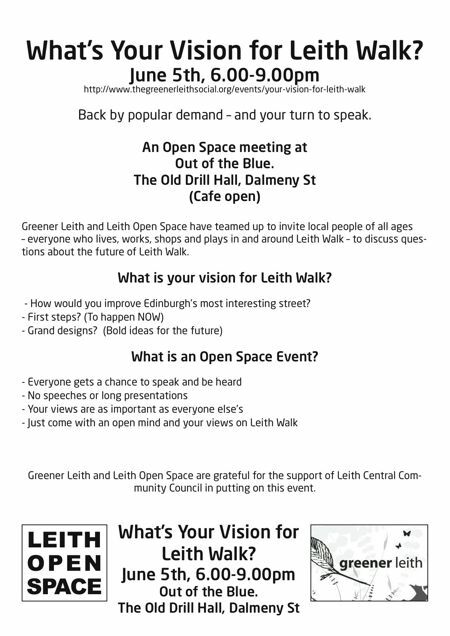 Bring your questions – and answers too – to our Open Space meeting with Greener Leith at Out of the Blue Drill Hall on Tuesday 5 June 6-9pm. As always Open Space aims to turn words into actions so come prepared to get involved. Author fay.youngPosted on May 28, 2012 Categories Leith Open Space EventsTags greener leith, leith open space, Leith WalkLeave a comment on Your Vision for Leith Walk?